Sonny Collins is Kentucky boy through and through. Alfred Eugene Collins born and raised in Madisonville, Kentucky. Collins rushed for 6,200 yards in his years at Madisonville High School. Sonny rushed for 3,835 yards in his four years at the University of Kentucky with 26 touchdowns. He received SEC Player of the Year in 1973 and SEC All-American team three times from 1973-1975. 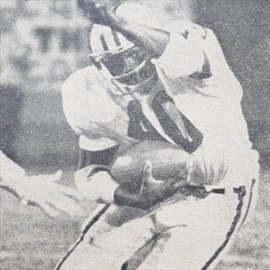 In 1976, Sonny Collins was drafted in the second round and 36th overall pick to the Atlanta Falcons. He played for the Atlanta Falcons and Los Angeles Rams in the NFL. 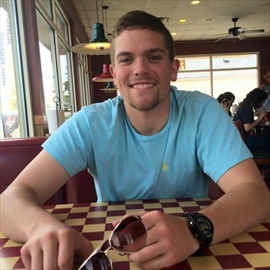 Keith is a Kentucky boy by birth coming from Middlesboro, KY and playing college baseball for Berea College in Kentucky. 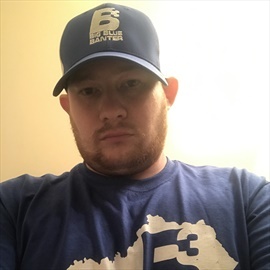 Keith has had a lifelong passion for all things UK and got into writing about UK Sports in 2013 and is a co-founder of Big Blue Banter. Keith’s highlights of being in UK Sports Media include having one-on-one interviews with Clark Kellogg and Bill Raftery, as well as being able to ask Coach Calipari post-game questions. Keith was also chosen by Gatorade to be the UK Fan’s voice of a podcast with Karl Anthony-Towns about the near-perfect season. Covered Kentucky Sports for seven years. Articles published at Kentucky Blue Sports News, Varsity Preps, Kentucky Scout site AllWildcats & Penn State Scout site Fight On State. The best food in Lexington, Kentucky is at Tony's. Order anything on the menu and the Rig-a-Tony is by far the best pasta meal, I have ever had. Oh, I can't dunk a basketball, but can hit the three-pointers. Jonathan is born and raised in the Bourbon Capital of the World, Bardstown, Kentucky. He is one of six brothers, all who bleed blue, especially for Kentucky Football. 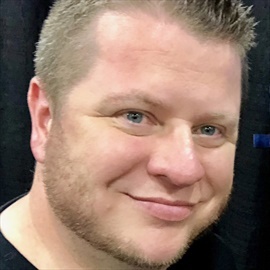 Jonathan worked with other Kentucky sports media sites, including Big Blue Nation, Inside Kentucky, and Kentucky Ink. 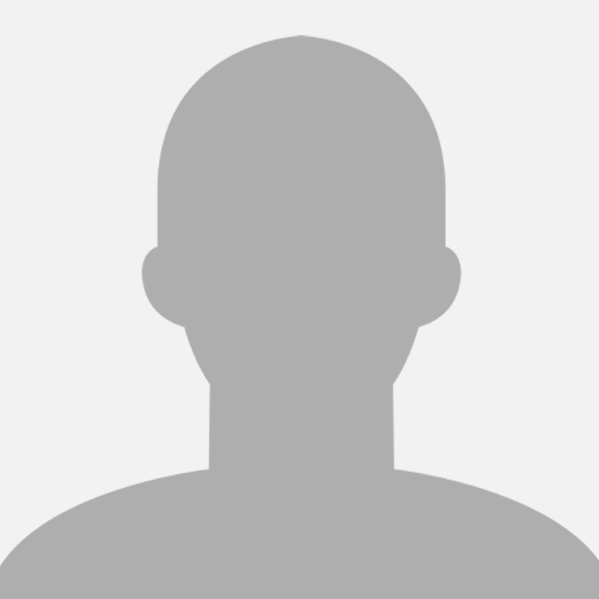 His passion is graphic design and photography and basically handles any of the technological needs of the company. He still lives in Bardstown with his family and manages GBA Printing. Valerie Still was born and raised in New Jersey. She obtained a BS degree in Animal Science/Pre-Vet at the University of Kentucky, an MA in African and African American Studies and is currently finishing her Ph.D. in Sports Humanities at The Ohio State University where she was a Graduate Research and Teaching Associate. Valerie was one of the first female athletes to receive an athletic scholarship shortly after Title IX was passed. She was a member of the University of Kentucky women’s basketball team from 1979-83 and led UK in becoming one of the nation's top programs and nationally ranked. Valerie became a three-time All-American and still holds the University of Kentucky career records (men and women) in scoring (2,763) and rebounding (1,525). She was also a member of the USA National team. Valerie enjoyed resounding professional success on two continents. She was a transcendent female athlete - one of the most dominant basketball players in both Italy and the United States. After her collegiate career, with no professional leagues for women in the States, she headed to Europe to play professional basketball in Italy. She lived in Europe for nearly 15 years. She was a 9-time all-star in the Italian women’s professional league; leading the league in scoring several years and winning a LEGA championship with Pool Comense in 1991while becoming of the country's most popular athletes. While in Italy she hosted her own television show and was a TV commentator for men’s basketball. She returned to the USA and in 1996 played in the American Basketball League (ABL), a newly formed professional league for women. She won two world championships with the Columbus Quest and was MVP for both championship series. After the ABL folded she joined the Women’s National Basketball Association (WNBA), playing with the Washington Mystics. After retiring from playing she became a WNBA assistant coach with the Mystics and later with the Orlando Miracle. She also coached high school basketball. An accomplished musician, Valerie has been a pianist for numerous bands and choirs and a singer with several musical records to her credit. In 1998 she founded the Valerie Still Foundation, a non-profit organization that assists youth in their development, and in particular, helps young girls grow into mature women through innovative programs. Always an outspoken advocate of social reform in regard to race, gender, class, and sexuality, Valerie wrote a weekly column for one of Italy’s major newspapers, “L’Unita,” and was an advice columnist for the WNBA’s web site for young girls. In 2012, she became one of four female hosts of a Time Warner Cable groundbreaking weekly television sports show, "Our Season" which focused specifically on issues regarding women and sports. Valerie is a member of an African American Legacy Family. She is the great-great-grandniece of abolitionist William Still, known by many as the "father of the Underground Railroad." William wrote and published the classic Underground Railroad in 1872 which documented escapes of self-liberating African Americans who utilized the Underground Railroad. Valerie's great-great-greatfather, Dr. James Still (William's older brother), was known as the “Doctor of the Pines.” With only three months of formal education, James became a well-known physician for his successful holistic treatments of illnesses and ailments. By the time of James' death, he was one of South Jersey’s largest landowners. He penned his autobiography, Early Recollections and Life of Dr. James Still which was originally published in 1877. In 2005, Valerie petitioned the State of New Jersey to save Dr. Still’s 19th-century medical office in Medford, New Jersey. In 2006, it became the first and only state-owned African American historic site in New Jersey. 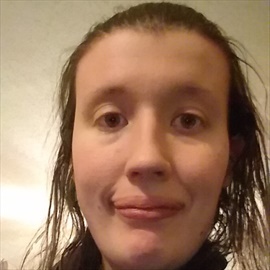 Valerie is a published author and co-owner of STILL Publications. The first two volume of Still Alive on the Underground Railroad: Recollections of an American Family, a youth series based on her family history, was released in 2012 and 2013. Her memoirs, entitled Playing Black and Blue: Still I Rise was released in April 2018. Later in 2018, she was a Jefferson Award honoree, America’s most prestigious celebration of public service. She is also the president of the Dr. Clarence B. Jones Institute for Social Advocacy. An adventurous spirit, Valerie was a cast member of the reality TV show, "Mom's Got Game" which aired on the Oprah Winfrey Network (OWN) in 2014. 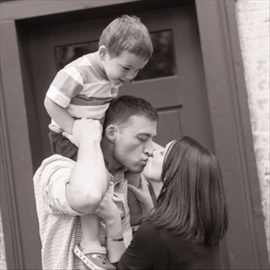 Her son Aaron Still-Lock is a 1st class midshipman at the United States Naval Academy. Valerie will be inducted into the Women's Basketball Hall of Fame in June 2019 and is also a nominee for the Naismith Hall of Fame Class of 2019. Art Still is born and raised in New Jersey. He played for Camden High School from 1971-74. After leaving New Jersey to attend the University of Kentucky. 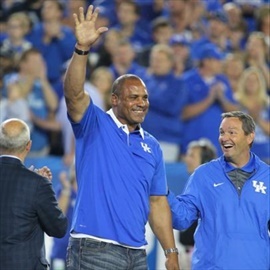 Still played as a defensive end at UK where he became the SEC Player of the Year as a senior at Kentucky. Still also broke UK single-season record with 22 tackles behind the line in 197 and finished his career with 327 tackles. In 1977, Art Still was a Consensus first-team All-American. In 1978, Still was taken as the second overall pick to the Kansas City Chiefs. During his time as a Kansas City Cheif, Still became a Four-time Pro-Bowl selection, following the 1980 – 1982 and 1984 seasons, chiefs most valuable player twice (in 1980 and 1984) and is still third on the club’s all-time sack list with 72.5 (trailing Derrick Thomas and Neil Smith), Led the team in sacks on six occasions, and topped the team’s tackle chart three times. Also, during his time as a Chief, He had two seasons (1980 and 1984) with 14.5 sacks. He also held the Club record for most sacks in one game with four (vs. Oakland 10/5/80) and held that record until Derrick Thomas recorded seven in a game versus Seattle in 1990. In 1988, Art Still was traded to the Buffalo Bills, where he played for the Bills for two seasons. in his 12 year NFL career, he had 1,128, 78.5 sacks, 12 fumbles, and one interception. Still retired from the NFL in 1989 with 10 years at Kansas City Chiefs and two years at Buffalo Bills. In 1997 Art Still is in inducted in the Kansas City Chiefs Hall of Fame and in 2005 Art Still he was inducted into the National College Football Hall of Fame. My name is Tyler Burton. I’m from Somerset, Kentucky. I’m 23 and I’m a junior at UK studying Business Management and Finance. Melissa Head is passionate about writing UK Baseball, Softball and Women's Basketball. 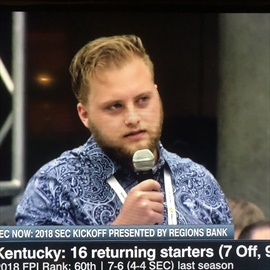 Originally from Houston, TX, Jordan spent most of his life in Lousiville, KY, before relocating to Lexington, KY in 2015. A UK fan from birth, he has followed the Cats his entire life. 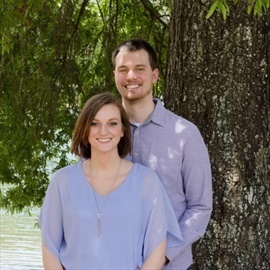 Before taking his current full-time position in the College of Communication and Information at UK as an Academic Advisor, Jordan worked as a graduate assistant with the Kentucky Men’s Basketball program for two seasons. 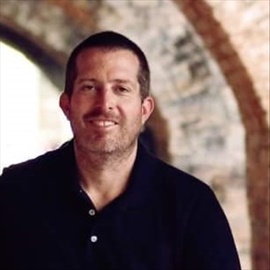 Jason was born and raised in Eastern Kentucky and has called the Florida Panhandle home since 2012. 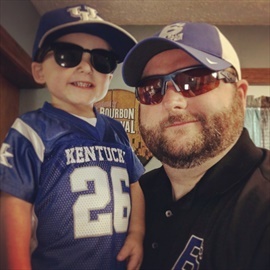 A Graduate of Ohio University, dedicated husband and father to 4 boys, Jason enjoys writing about UK football and likes the basketball team too. He also takes pleasure in finding bugs in software, coaching youth sports, and running. Husband, Father, Cat. University of Kentucky Alum (Finance & MBA). I cover basketball, football, and participate in podcasts.